You have just entered a bakery where everything gets turned into a twist! Hard Pretzels made by hand! Taste the unique homemade flavor not found in machine-made pretzels. 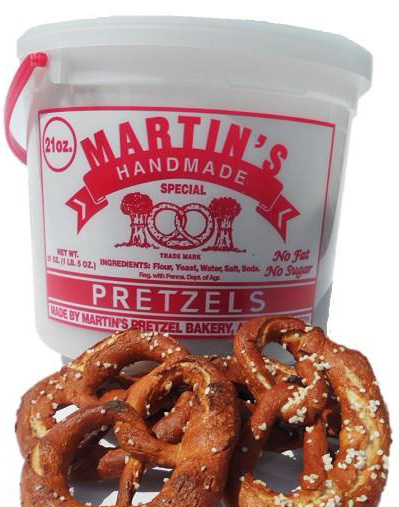 Martin’s Pretzel Bakery is nestled in Lancaster County, PA, home of the Pennsylvania Dutch known as Amish Country. This is an area where pretzels were first introduced in North America back in the 19th century. 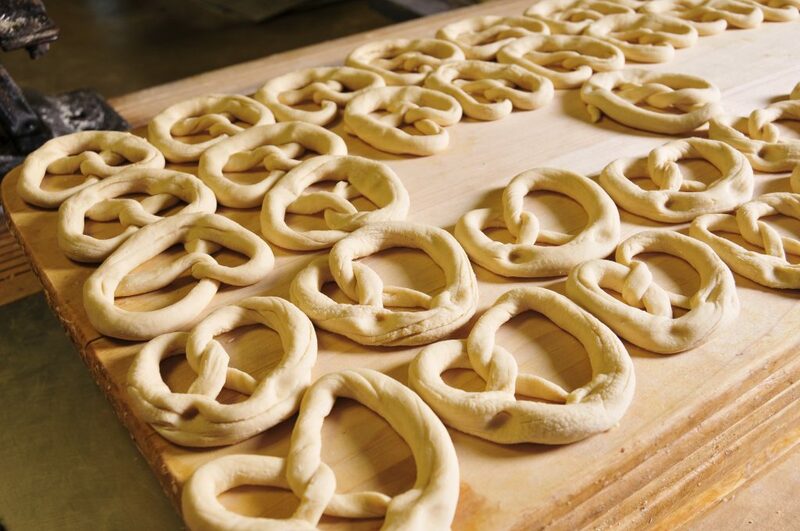 Today the tradition continues at Martin’s Pretzel Bakery, with hard pretzel recipes of old, still rolled and twisted by hand. These pretzels are made exactly as they were done 80 years ago when an uncle started making pretzels in a barn. 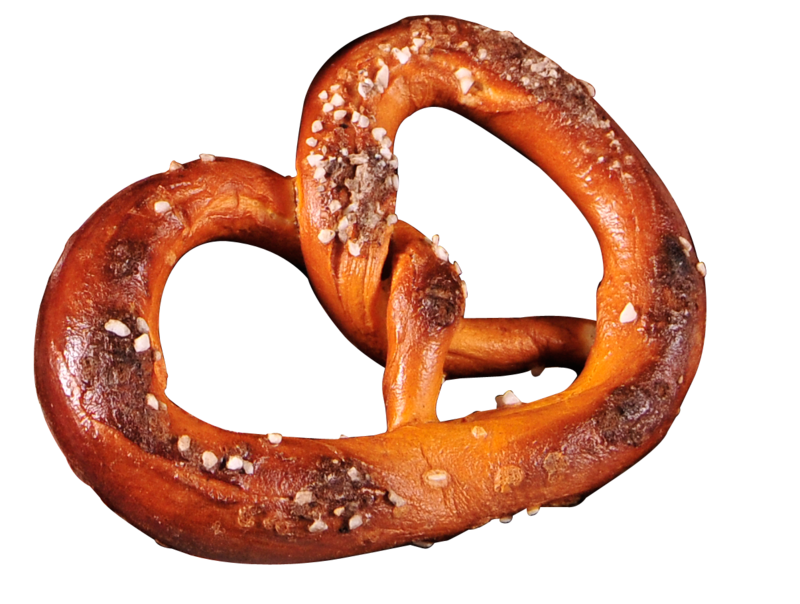 Pretzel dough is mixed in 150lb batches, twisted by hand and baked to perfection. 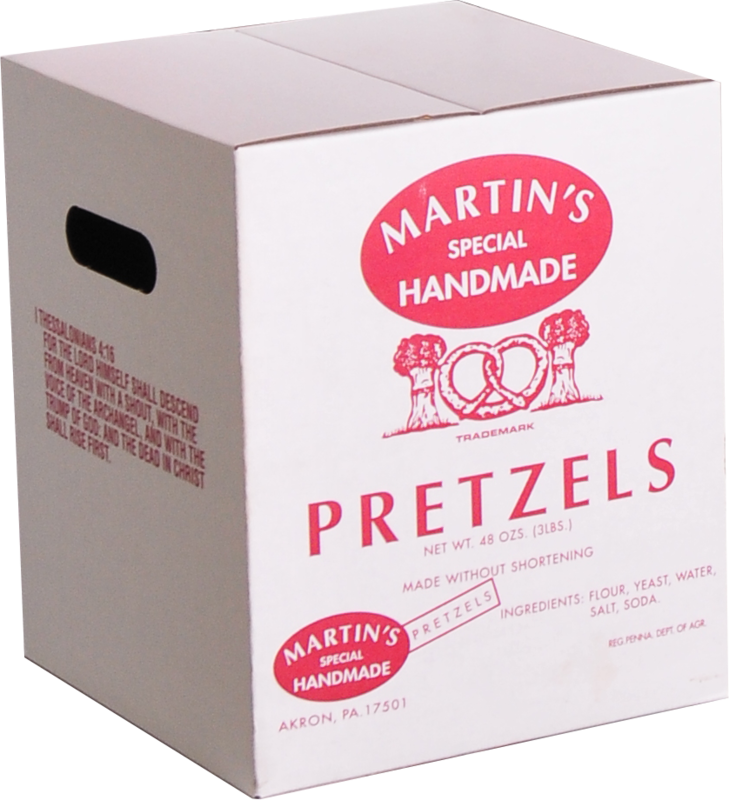 These hard pretzels are packaged and now available online to be shipped right to your door. Order yours today and taste the homemade difference! “The women who work at the twisting table at Martin’s Pretzel Bakery in Akron, Pa., can twist about 10 pretzels a minute, producing more than 1,200 pounds of the salted snack a day.